LED Uplighting, also called Mood Lighting, Moodlighting, Colour Wash and other names, is a highly effective way of making any venue look fantastic – even if it already does! 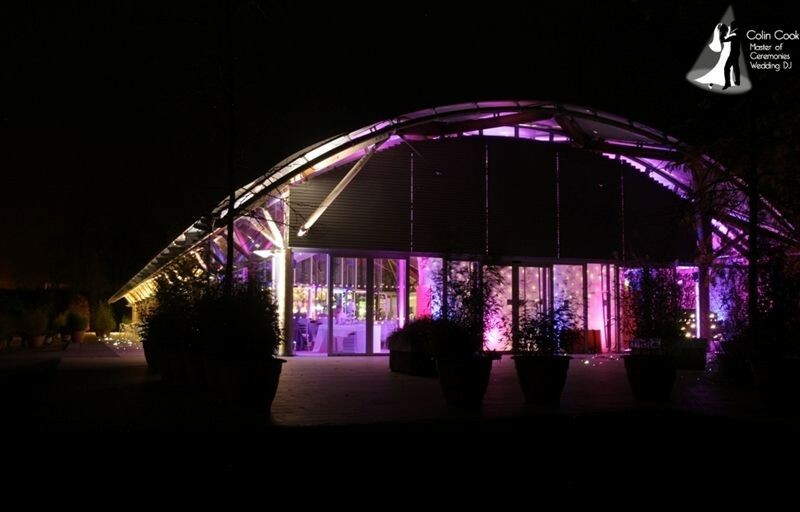 You can paint your venue with light! Back in 2006 I was one of the first suppliers to introduce LED Moodlighting (or Uplighting) to the North East of England. Almost overnight it became a ‘must-have’ and even now when every DJ and his mother is trying to offer the service almost nobody can match the quality of my work – creative flair, understanding of architecture and an OCD-like desire for neatness has ensured that. In fact to my knowledge I provide more high quality Moodlighting than anyone else in the North East and still remain the only person to have fully uplit the Great Hall of Durham Castle (which I do regularly!). When it comes to Creative Event Lighting for your Wedding even the very best Moodlighting is one of the most cost efficient ways to get a real ‘Wow’ factor. LED Uplighting – Highly effective venue lighting and decor enhances virtually any room in a number of ways. This Creative Wedding Lighting can be soft and evocative, rich and sophisticated or plain eye popping hot! In venues without windows it creates an amazing ambient light and brings warmth, colour and sophistication to the entire room. In regular rooms the effect changes throughout the day. If it is bright and sunny the lights are virtually invisible but if a cloud or break in the sun happens then a subtle touch of colour takes ‘the edge’ off the room. As the daylight fades the colour becomes more intense, also creeping further into the room until that real ‘wow’ effect happens. By lighting the periphery of the room with Wedding Moodlighting and adding some candles or tealights to the tables you can pretty much do away with the harsh and bright overhead lights most venues are equipped with and create a real atmospheric mood. Uplighting is set to provide floods or accents of light on walls and ceilings, in a wide variety of colours and shades. Even the most stunning of rooms is rarely the right colour for your event, whether it is the carpet, walls or generally flat lighting. Moodlighting brings the room to life, complementing your own theme, or creating a brand new one! You can have them all the same colour or series of colours, or with alternate units running a chase. Or they can be set to just run through a pre-programmed series of colour changes – either all fully synchronised or individually! The atmosphere and drama created is a great addition to your Wedding Lighting and combined with candles or tealights on the tables means you can reduce the overhead lighting or even switch it off altogether. Units can be positioned either equally around a room, spaced closely for a constant colour, wider for a more dramatic effect or can be positioned to highlight room architecture or natural ‘flow’ for the most effective atmosphere. We can place the units where you want them, or use our creativity and empathy with venues to site the moodlighting most effectively. Photographs really don’t do justice to the effect – it has to be seen to be believed. I have tried to include photos of a variety of colours, rooms and events to show how versatile moodlighting is. Perfect for Ceremonies, Wedding Breakfasts, Evening Functions – in fact pretty much any event! Moodlighting is cost-effective, highly desirable and brings any venue to life. 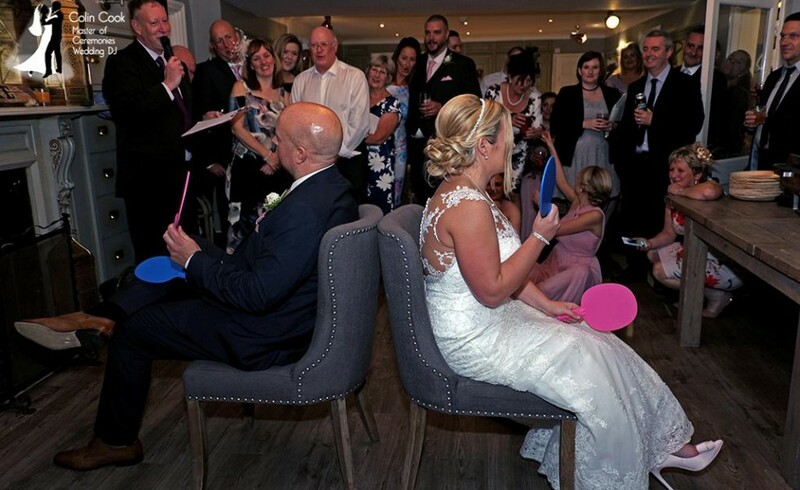 Compared with Chair Covers, Balloons and table decorations it represents amazing value! LED Lights for Moodlighting are extremely energy efficient (approximately 25watts each as opposed to 300watts). Over 100 of these units can be connected to a single 13a socket! LED Lights can be programmed to any of more than 64,000 shades via 255 steps each of Red, Blue and Green! LED Uplighting is a simply magical way to transform a venue, and is particularly effective in marquees.It is perfect for Weddings, Presentations, Conferences or anywhere you want something special! 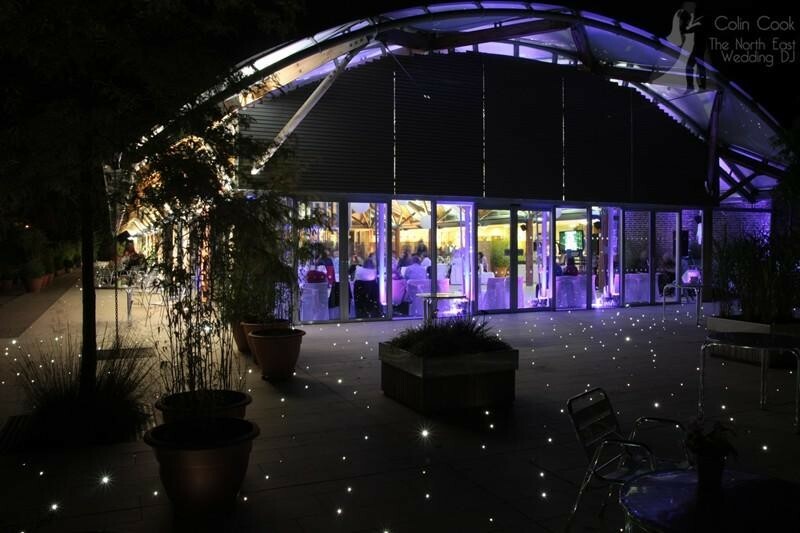 Basically, if you want to personalise, enhance or transform any venue – mood lighting is the way to do it! With my design help and commitment to quality I can help you have a totally unique day. Choosing a colour – Mood Lighting can achieve a wide variety of colours. However bear in mind these are of course lights and therefore cannot transmit a ‘dark’. So you can have blue but you cannot have Navy as it doesnt exist as a transmitted colour. Most clients choose a colour which will either complement or contrast with their Wedding Theme. Recently the most popular colour by far has been Purple which is a rich, sophisticated colour and complements a range of colours. Vintage themes often go well with Purple or with Teal or Aquamarine. Orange (Gold) is popular for autumnal Weddings and Hot Pink is of course a perennial favourite. A softer Pink is also available although with light it can be more effective to have a stronger colour. Blue and Green can be very difficult colours. Blue can be very cold on it’s own and Green can cast a glow onto skin etc which may not be to your liking. However, add a little Green to the Blue and it softens the colour and brings some warmth to it. Alternatively you can choose 2 complementary colours – Blue and Pink for example when put side by side look amazing. The Pink warms the Blue and the Blue softens the Pink. Please feel free to chat with me regarding colours – I’m always happy to help. Here are a few examples of what mood lighting can do. These photos show the lovely Ballroom both with and without moodlighting. 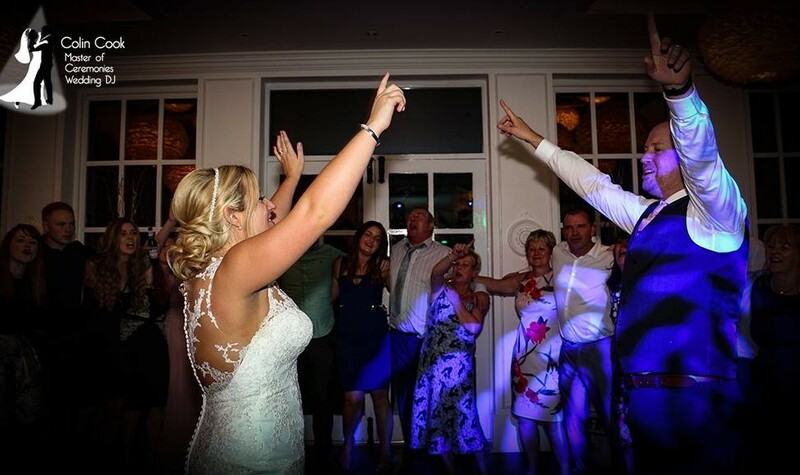 Jane and Jules were my first clients there and right from the beginning I became recommended DJ to Guyzance Hall, Northumberland followed by the owner’s other venue Eshott Hall. As I’m sure you will agree, Guyzance Hall looks even more beautiful, elegant and sophisticated. Wynyard Hall in the Tees Valley is a simply spectacular venue by any stretch of the imagination, but the cool greens of the conservatory don’t suit every colour theme. Here is a photo showing the amazing Conservatory with and without Moodlighting. Of course, as it gets dark the atmosphere changes yet again and the gorgeous conservatory at Wynyard Hall takes on a warm, rich and sophisticated atmosphere which compliments the décor perfectly! 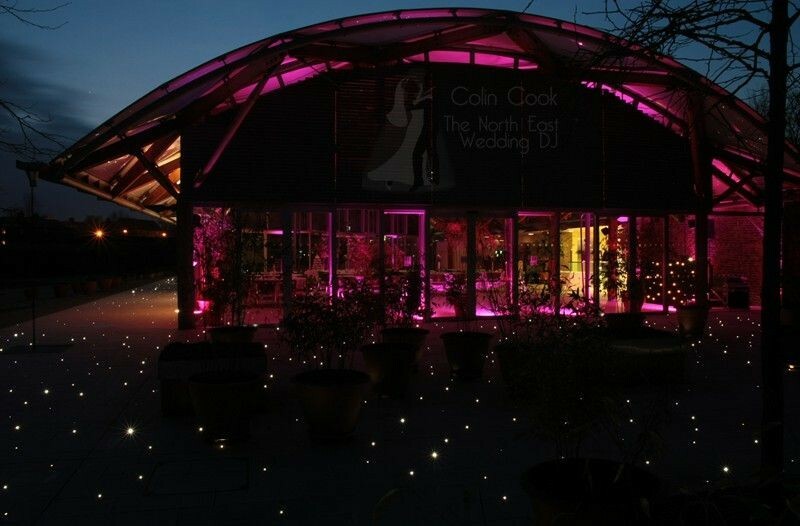 And finally gorgeous Alnwick Garden in Northumberland is another venue where i am almost always booked to provide moodlighting alongside my other services. This light and airy room looks great in daylight but is rather monochromatic in the dark which combined with the flat and bright interior lighting loses so much of it’s lovely daytime character. However moodlighting just brings the whole place to life and makes the room glow from floor to roof – in fact the colour can be seen from the car park! 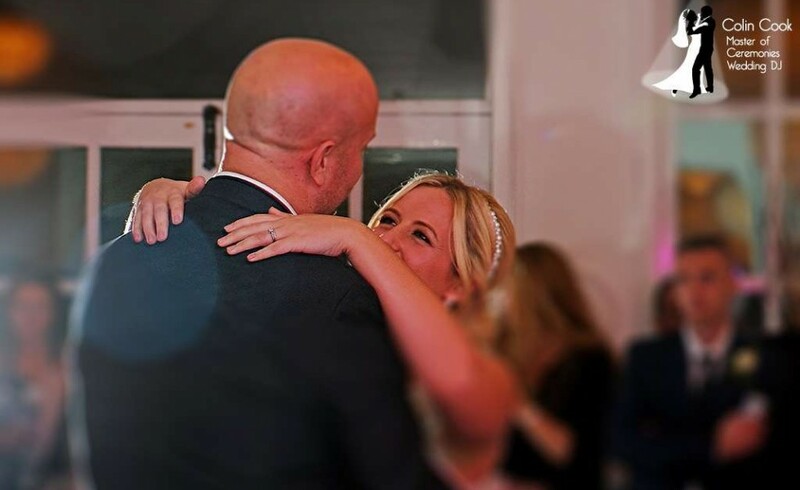 Generally speaking my Mood Lighting service is booked alongside my services as Wedding DJ and Master of Ceremonies but it is also available as a separate service which includes delivery and setup in the colour of your choice and removal after your function ends. The service is available across the North East of England including County Durham, Northumberland, Tyne & Wear, North Yorkshire, Teesside and the Tees Valley.